The value of preventative maintenance is well known and documented. 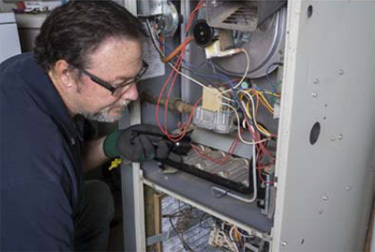 A thorough maintenance program for your HVAC systems will reduce expensive downtime, save you money in unnecessary repairs, and enhance the ongoing cost efficiency of your system. Sutfin Mechanical, Inc. provides maintenance agreements tailored to meet your needs and your budget. Sutfin Mechanical, Inc. will become thoroughly involved with your equipment, so we can spot little problems before they become big ones. Your agreement with us brings you the peace of mind and assurance that comes with having professional specialists on the job. A Service Agreement gives you routine preventative maintenance on your equipment. Sutfin Mechanical, Inc. will contact you to set up the appointment for the clean and checks.